Frank Brown Park currently has over two hundred acres which are dedicated to outdoor recreation and supporting the local community with additional facilities, including playgrounds, picnic areas, a saltwater fishing pier, a freshwater youth fishing lake, trails, and more. All the amenities at Frank Brown are open to the public year round. In addition, the Community & Senior Center are always hosting special events & club meetings plus classes of interest to all ages. The Festival Grounds contain a 22 Acre Festival Site with a 10,000 person capacity. 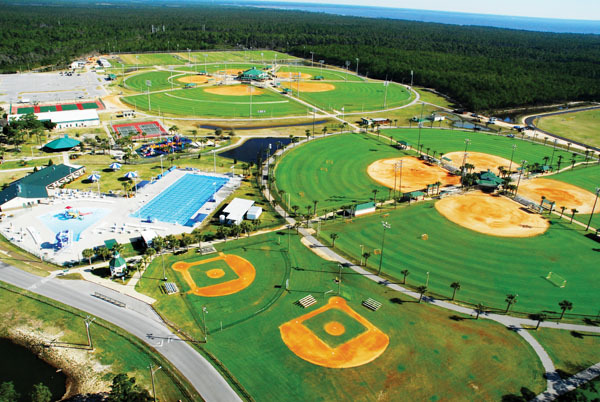 Frank Brown Park is home to many tournament/events, such as Pepsi Gulf Coast Jam, Festivals, Horse Shows, Car Shows, and more. Reservations for indoor facility rentals or outside pavilions can be arranged for special events, family reunions, weddings, and birthdays. Please call (850) 233-5045. This state of the art facility features a heated/cooled 50 meter Olympic size pool with a 1 meter springboard diving well and a seasonal 5,000 square foot Kids Pool. The aquatic facility stands tall with other amenities like: Large locker rooms with heated showers, a large community classroom, a convenient gift shop, and a concession stand. They also have a nice variety of swimming-related events year round for swimmers and non-swimmers of any age. 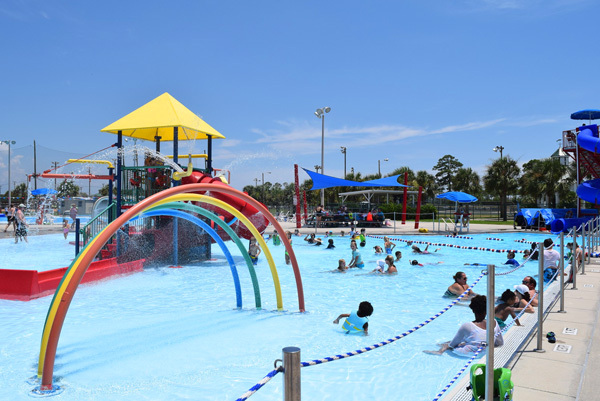 The Panama City Beach Aquatic Center has something for everyone! The above information was provided by panamacitybeachparksandrecreation.com. Please visit their websites for additional information.